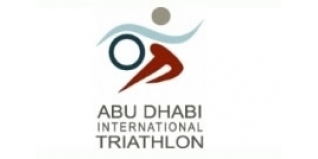 This coming Saturday morning will see over 2000 athletes (across the three distance options) descend upon the public bathing beach at on the Corniche, Abu Dhabi for the fifth edition of this marquee early season race - and with it the first race in 2014 of defending champion Frederik Van Lierde as Ironman World Champion. Abu Dhabi has been a happy hunting ground for Van Lierde - an ever present since the event debut in 2010, he has finished 5th / 1st / 5th / 1st in four outings and will hope to set up his 2014 campaign with another victory this week. When I interviewed Van Lierde prior to last years race, he was confident, he was the hot favourite and he told me he could win Kona... he delivered in fine style at both races (and record breaking at Ironman France). He will start favourite again, provided the distraction and media of his World Champion status haven't compromised his preparations. Spain's Eneko Llanos also has a superb record here, having a full set of podium positions including the debut win in 2010. 2013 - Kona aside - was a great one for Llanos, who took victory at the Asia Pacific Ironman Champs (Melbourne) and the European Ironman Champs (Frankfurt). Expect Llanos to add another podium this weekend. Completing a full podium of returning athletes from 2013, Tyler Butterfield is back once again. His wife Nikki won the race two years ago and Tyler surprised a few people with his third place last year. 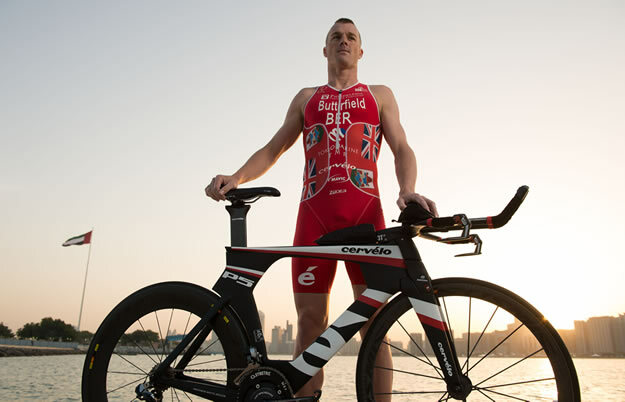 That was no fluke however as he ended the year with a strong seventh placed finish in Kona. Having spent several years as a pro cyclist, Butterfield is well suited to the 200km bike leg out to the Yas Marina F1™ circuit. One athlete making his Abu Dhabi debut - but who went even better in Kona than Butterfield - is James Cunnama (RSA). 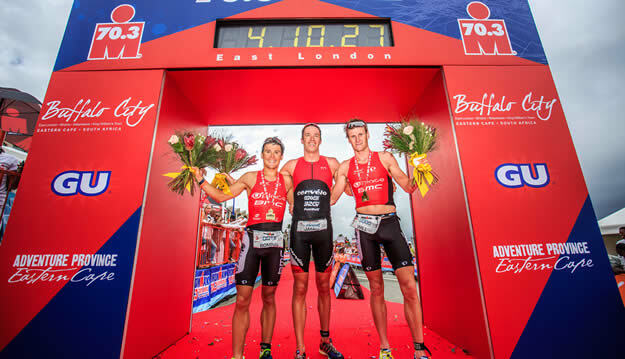 James has already proven he is in great shape already this year with a home win at Ironman 70.3 South Africa. Cunnama has much improved his swim in recent years and, along with a smaller Pro field this year, should be able to make up any deficit - should there be any - to Van Lierde and Llanos in the early stages of the bike leg. A strong runner, he is the sort of athlete Van Lierde in particular will have wanted to gain time on by T2. Expect him to try and do that in the last 50km of the ride. If it doesn't work and Cunnama is close at T2, he is a potential race winner. 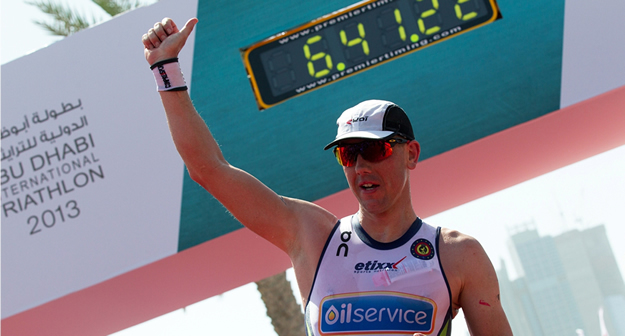 France's Sylvain Sudrie is a former ITU World Long Distance Champion and has twice finished fifth in Abu Dhabi. A demon swimmer, he is likely to keep the pace honest in the water - and he has the background on land to back that up. A potential winner? If either Van Lierde or Llanos bring their 'A' game, that is a big ask. With the addition of the 'Short Course' race as a Pro race this year (with a $60,000 prize purse), the Long Course race prize fund has reduced in 2014. While still highly significant in triathlon terms at $138k, the purse now runs six deep rather than ten. Combined with a change in race date just one week prior to Ironman Melbourne, it will be interesting to see how a significantly smaller Pro field impacts the dynamics of the race.